If you are using Linux, your OS repository most probably carry SyncTerm. See your documentation and install it using the usual mean. This is a portable version, no need to install. You just unzip all the files in a folder and double-click on the executable. 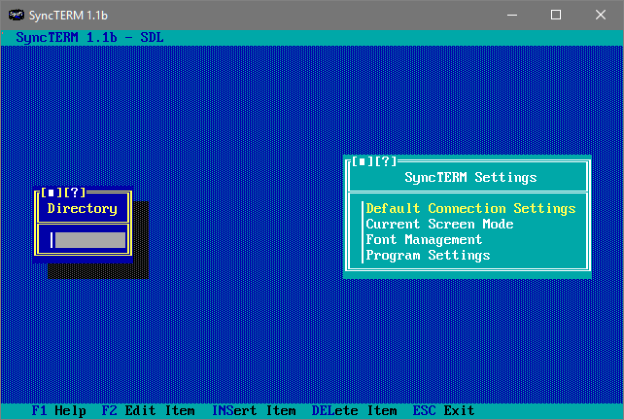 This is the main screen after you start SyncTerm for the first time. If you do not have an account on the BBS, choose Telnet. If you already have an account, you will have the option to setup SSH later. Enter the BBS address, this is the DNS name to connect to the BBS, and hit ENTER. We now need to change the port, align the selection bar on the BBS name and hit F2. Highlight the TCP port line and hit ENTER to change the value to 2023. Hit ENTER when done. 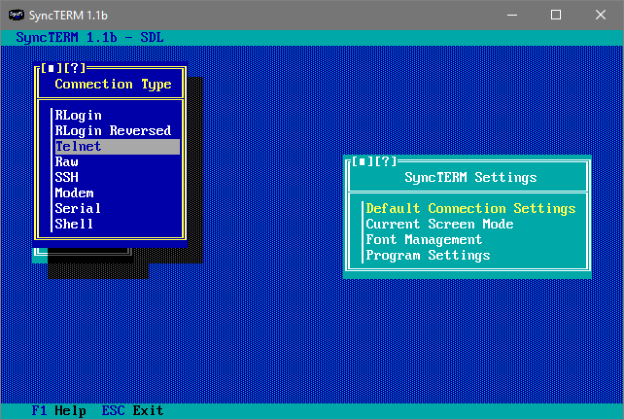 Hit ESCAPE to quit to the BBS list and you are now ready to connect using Telnet. Press ENTER to connect. To connect using SSH, we have to change the connection method and the port. 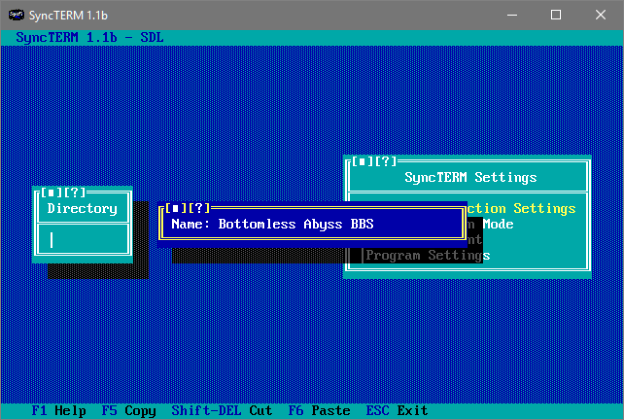 Align the selection bar on the BBS name and hit F2. Make sure the Connection Type is set to SSH and change the TCP Port value to 2222. Enter your Username and optionally, your Password if you want to save it. 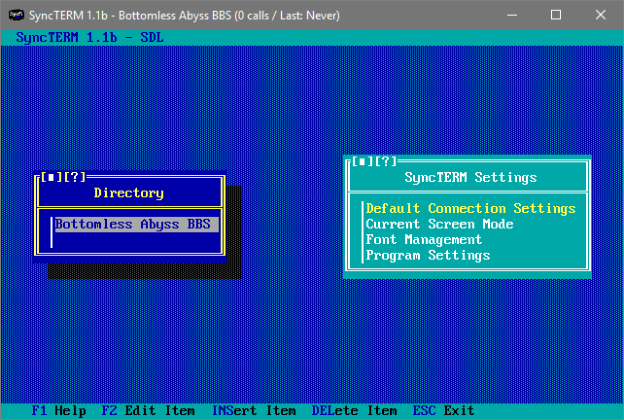 Hit ESCAPE to quit to the BBS list and you are now ready to connect using SSH.